Ningbo Yonshindeh International Trade Co., Ltd.
Yangjiang Yorkitchen Industrial And Trading Co., Ltd.
Ningbo Hengshan Commodity Co., Ltd.
(YQYM) Item N ame diameter 150mm round silicone isomalt lollipop mould Material 100% food grad e imported silicon e Finished size &Phi;150*15mm Certification LFGB Origin Guangdong,China(Mainland) Features 1)Dishwasher safe, stackable, freezer safe, microwave safe. 2)Flexible, lightweight and portable, easy to store and transport 3)Safe, nontoxic ,anti-dust, non-sticking, impermeable 4)Temperature: -40~2 3 0 centigrade 5)Ovens,Microwave ovens,Dishwasher and Freezer 6)Logo can be printed, embossed, debossed. 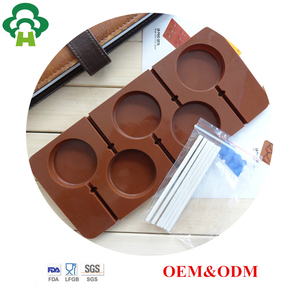 Warm prompt Do not use on an open flame or direct heat Do not use as a cutting surface,or use sharp tools to remove or cut food from bakeware Mold tooling cost Based on the final design Color Random color Sample fee Sample fee will be negotiable once placed the order. Ningbo Newtang Machinery And Electric Co., Ltd.
4) Easy to use and have long service life. 6) Anti-oxidant, acid and alkali resistance. 7) As Customers' Logo or designs/samples are 8) Reasonable direct factory price, high quality & fast delivery. Yongkang Purplewind Industry & Trade Co., Ltd. But we accept lower quantity for your trial order. We usually provide existing sample for free. So you can just tell us the pantone color code you need. &bull; Can we print our name on products9 Yes, please advise the size and Pantone Code of the logo. &bull; Can we make a debossed or embossed logo on product9 Yes, of course. &bull; Can we ask a sample to verify the quality9 Yes, of course. 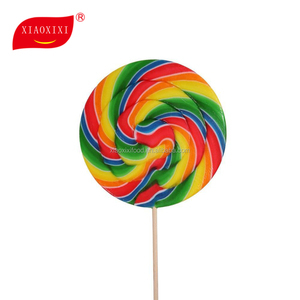 Yangjiang Changxin Trading Co., Ltd.
Ningbo Komda Commodity Co., Ltd.
Alibaba.com offers 4,291 lollipop molds products. About 25% of these are cake tools, 12% are moulds. A wide variety of lollipop molds options are available to you, such as fda, ce / eu, and lfgb. You can also choose from eco-friendly, disposable. As well as from plastic, silicone, and silicone rubber. And whether lollipop molds is moulds, or dessert decorators. There are 4,309 lollipop molds suppliers, mainly located in Asia. The top supplying countries are China (Mainland), Hong Kong, and Taiwan, which supply 99%, 1%, and 1% of lollipop molds respectively. Lollipop molds products are most popular in North America, Western Europe, and South America. You can ensure product safety by selecting from certified suppliers, including 893 with ISO9001, 513 with Other, and 197 with BSCI certification.